Will our robotic overlords finally replace us now that they've learned how to teach each other? You would think that years of science fiction would have stopped this. Sure we’ve embraced Big Data in a big way and most IoT devices now have some kind of AI in them that’s constantly learning our habits and when we’re weak. But MIT took it to the next level by teaching robots how to teach other robots. Yes. Gone are the heady days when one weary programmer could waste days programming a simple robotic arm not to crush an egg. Now we finally have a way for the machines to teach each other and not just themselves. Designed by MIT’s Computer Science and Artificial Intelligence Laboratory or CSAIL, the process is known as C-LEARN. Researchers Claudia Pérez-D’Arpino and Julie A. Shah created the idea when they decided to fuse the two current techniques for teaching robots skills. The first is learning by demonstration, where the robot watches a task be performed and then replicates it. The other is motion planning but requires an expert to craft it themselves as all the geometric factors for the manipulators have to be set. So the team went and made their own method. C-LEARN combines the two so that a robot can learn the geometric constraints for the task via observation. What is a geometric constraint? It’s just the physical limits of an object or task. Like the dimensions of the human neck, we don’t want our robot overlords to strangle. 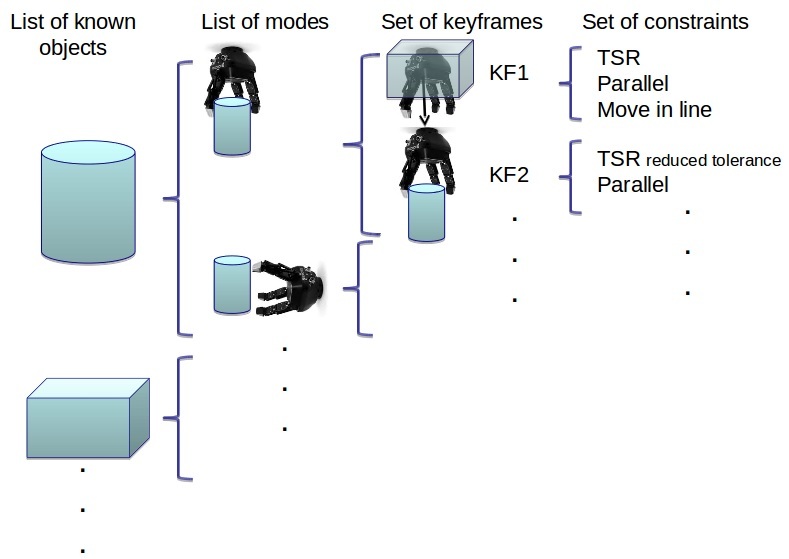 The system breaks down the tasks for the robot into a sequence of steps known as keyframes and the constraints of that keyframe. This allows someone without the experience or knowledge of a coder to teach a robot a series of tasks by providing a portion of the information on how the task is performed and then showing the robot a demo of the task itself. As a result, that robot can then be used to teach that skill to another robot in spite of design differences between those robots. Naturally, the obvious application of this would be with large scale production robots teaching each other how to perform series of tasks by a simple demonstration. So far the researchers at MIT have only published a paper on the concept wherein they list their findings as a success. We still have a long way to go before the robot uprising comes and we all run in fear for our lives from the machines. Mike Is a GTA Local Technology and Geek Interest Writer Having Worked in the Field for Nearly Ten Years as a Contributing Writer and Editor for Various Publications in Fashion, Entertainment, Gaming and News. Since Then He’s Offered a Variety of Opinions on Things and Then Moves on to the Next Bit of News That Interested Him. He Has Remained Properly Unfashionable Since 1987 and Plans to Stay That Way. Pretty cool and even though I do not have a robotics degree, I can understand how the process works. That is a huge sign that the program and the system overall will be easy to learn from, teach and implement! I get keyframes. Just like editing a video with keyframes. It makes sense to me. This sort of seems like a “plug and play” sort of setup. The system seems easy enough and when you want to see the end results of your coding, you just make it work. Then you can make changes based on those results. Great learning tool! When you break down the actions into smaller commands like this, programming the robot is much easier. Very cool. Another layer to the robotics world and how it will easily take over the manufacturing industries around the world. Exactly. Even the smaller robots can really make a difference in the industry around the world. Robots do not have to take on each of the processes in a business, but if it even takes over one of them, the process could become more efficient. You are right! Now everyone can learn a little from the robotics stand point and not just from what they can do. It is more about how you can program them now more than ever. I still get a little freaked out when I read about robots and people working with them. I am sure there is a time when a robot will freak out and crush a head or rip an arm off and that is where I draw the line with robots.